In 2018, Member States celebrated the 20th anniversary of the Rome Statute. 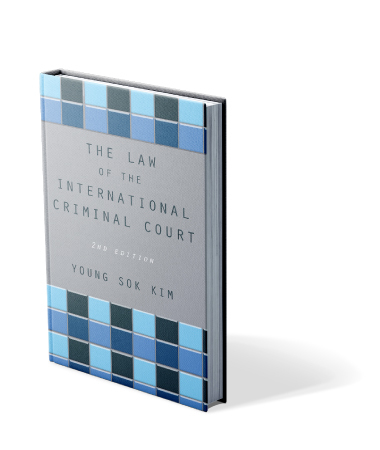 As one of the Korean delegates to the Rome Conference in 1998 that established the International Criminal Court, the author is intimately familiar with matters related to its formation and subsequent development. This work, a leading authority for the practice and procedure of the International Criminal Court (ICC), addresses a host of difficult and common questions about the court and records legislative histories of important articles of the ICC Statute. Since publication of the first edition in 2007, there have been many important developments regarding the ICC. This new edition covers amendments to the Rome Statute that were adopted with respect to war crimes and the crime of aggression, which give the court jurisdiction over the most serious crimes of concern to the international community as a whole. It also includes important case law of the ICC. Young Sok Kim is Professor of International Law, School of Law, Ewha Womans University. He earned a Bachelor of Law and a Master of Law from Seoul National University, and an LLM and Doctor of the Science of Law (JSD) from University of Illinois at Urbana-Champaign. Kim previously worked as Deputy Director of the Treaties Division in the Korean Foreign Ministry, Assistant Professor of Law in Ajou University, and Visiting Associate Professor of Law in University of Illinois at Urbana-Champaign. He has also been Legal Advisor for the Korean Delegation to various international conferences, including the Rome Conference for the Drafting of the Statute of the International Criminal Court, as well as the second and third sessions of the Preparatory Commission for the ICC, held in New York. Since 1998, he has been involved in various meetings on the ICC, including the Assembly of States Parties for 20 years.